"We played a match 3 days ago, but many supporters came along for us today again, and gave us lots of power. The opponent pressed us hard from the front and also kept the last defender's position quite high up, so we struggled in the 1st half, and also we made a lot of mistakes, then lost the opening goal to them at early hour of the game. However, in the 2nd half, we said 'we are capable to become aggressive', and reduced our mistakes, then we changed the mood to our pace. We had a lot of chances in today's match, but couldn't execute. That's what, I think, is the reason of the draw result. And that re-confirmed that we must execute the chances to simplify a game like today. I am sure the lads know that too. It was the game that made us re-recognized the importance of acquiring the opening goal. We are talking about 'improving quality' for this year, and we must make a big effort for that. At least, we didn't lose today, so we should be able to change our mood." "The opponent had irregular ball passes and that made me a little confused, but we didn't give them any crucial chances, and we defended tight at back. The guys at front had some chances but couldn't execute, and that caused today's result, I think. I, and also Kenyu (Sugimoto) had some chances, so I am feeling very sorry for just one goal. But, people like Takaki (Fukumitsu), it was his debut as a starting member at J1 League match, he ran so energetically and helped us by making chances, and also the substitute Souza worked together with Toshi (Toshiyuki Takagi) and changed the flow, so I feel, we acquired the 1 winning point by the team effort, we worked all together as one." Yoichiro Kakitani, the equaliser of desperate efforts. 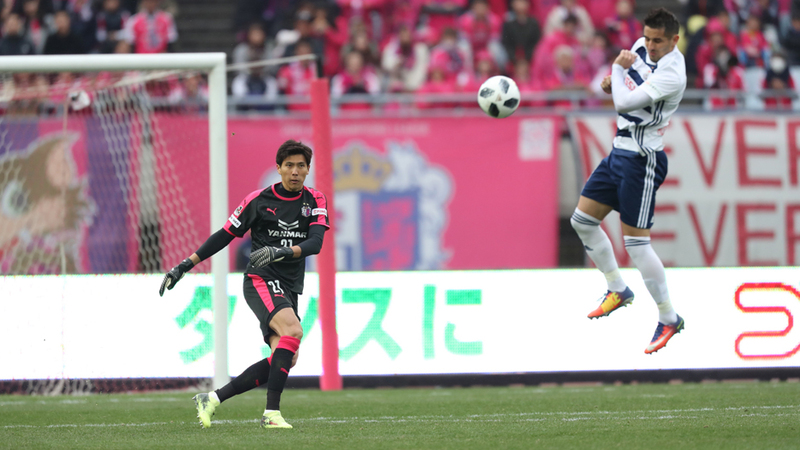 Cerezo avoided the league opening match's defeat, and acquired 1 winning point that they can link to the next. From the beginning of the match, Yokohama FM kept their last defence position at high up, pressed hard at middle, and even at building-up side-back's joined in the attack. 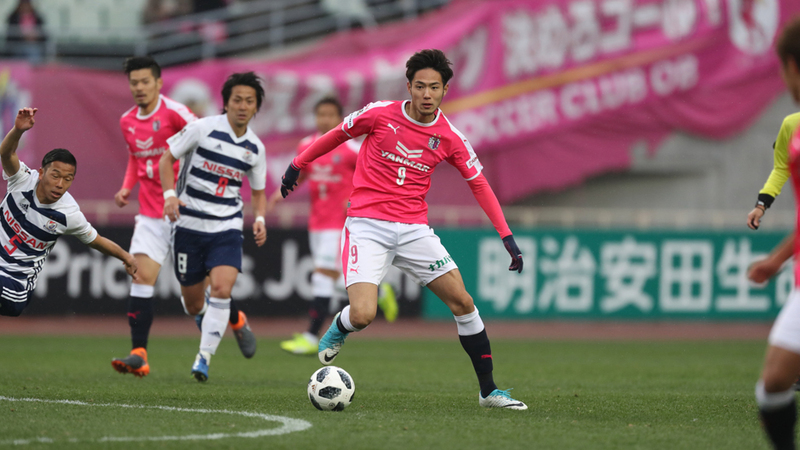 As Kakitani looks back "The opponent had irregular ball passes and that made me a little confused", Cerezo made a few mistakes caused by opponent's press in the 1st half, and fell into dangerous satiation. They thought they had some ideas of how Yokohama FM play after the scouting prior to the match, however, "It was very different at the live game. I was dodged many times when I tried to steal the ball, and we couldn't play our soccer." Sugimoto said. 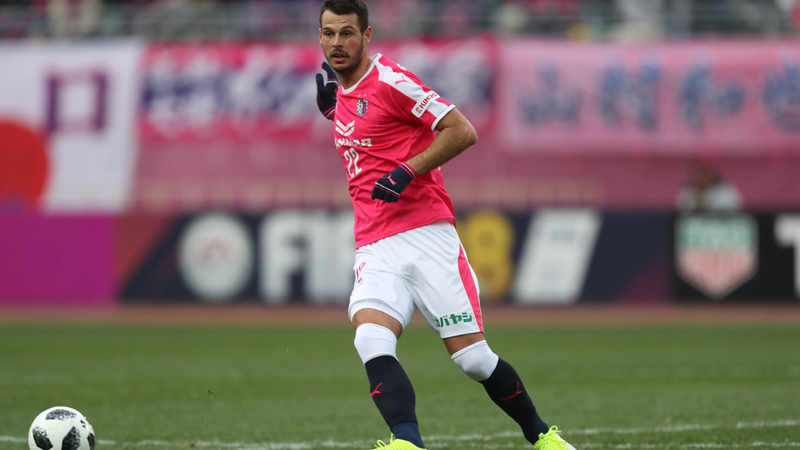 However, it was Cerezo who had the first chance. In 6th minute, Sugimoto received and kept the ball at top that was passed from Kota Mizunuma. He passed the ball down to Fukumitsu, and Fukumitsu passed it direct to Mizunuma, and managed to go through behind the defence line. He received returned pass from Mizunuma then made the last pass to Kakitani at the centre. Kakitani who was free and unmarked calmly sent the ball to the goal and made the nets shaken. It was brilliant formation of breaking opponent's defence by one-touch passes, however Kakitani was accused for his offside position and the goal was disallowed. When Fukumitsu managed to go behind the defender, the offside line was at the position of the ball, therefore Kakitani was, in fact, onside, so it was a very regrettable decision. Then in 17th minute, Cerezo allowed Yokohama FM to have the opening goal. 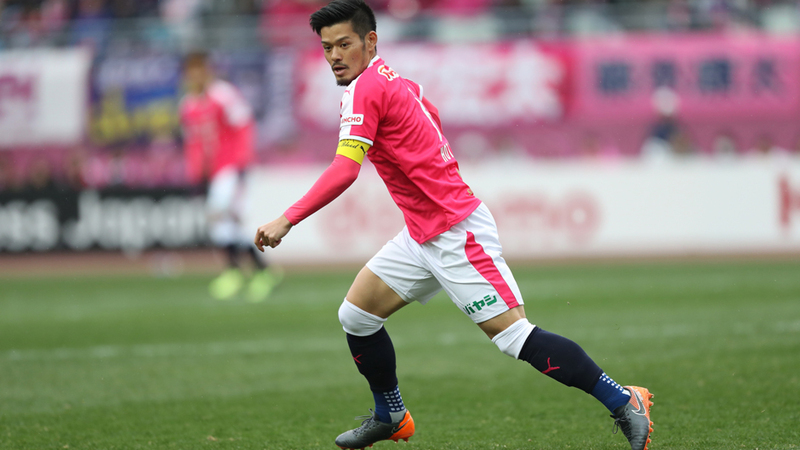 Cerezo was attacked from left side, and Yokohama's left side-back Ryosuke Yamanaka who came into high position at centre scored by middle-shoot. 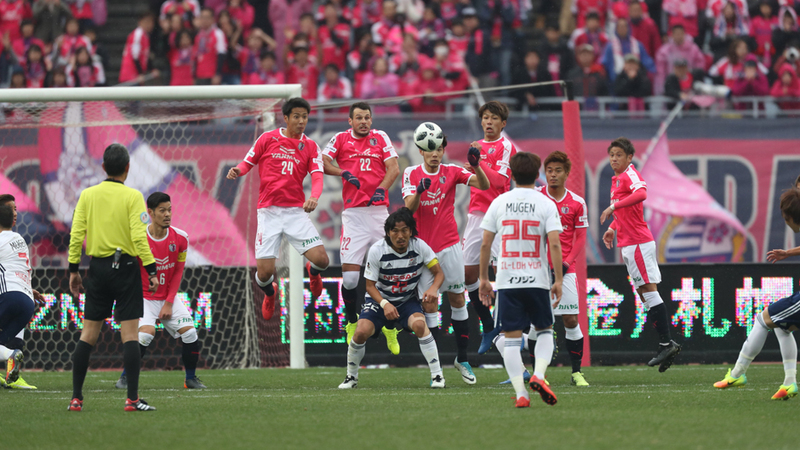 At this scene, Cerezo had plenty of players there, and it showed their loose defence. In 21st minute, Cerezo showed their counter attack. Hotaru Yamaguchi made a pass to Sugimoto and ran into the top, and Sugimoto managed to send a great pass to behind the defence line, despite followed by a defender by himself. It was one versus one situation for Yamaguchi against goalkeeper, but his shoot was denied by the goalkeeper Hiroki Iikura's good save. Cerezo had another chance just before end of 1st half. Kakitani who intercepted the pass of Yuji Nakazawa, dribbled through by himself, dodged Iikura and made a shot, however it missed the frames unfortunately. Into the 2nd half, it was a seesaw battle, both team had chances but neither of them executed, and the score remained non move. In 76th minute, Sousa who started in the substitute bench for this match was sent to the pitch together with Toshiyuki Takagi, then suddenly Cerezo's counterattack mood became high up. In 84th minute, goalkeeper Kim Jin-hyeon sent the ball to top, opponent goalkeeper Iikura came out and mishandled the ball, and Fukumitsu reacted and made a shot to the open goal, however the ball went over the crossbar. But Cerezo had a moment of delight 2 minutes after this event. It was started from Kim Jin-hyeon again, his throw was linked to Riku Matsuda, to Sousa, then Sousa and Fukumitsu played one-two and managed to entre in front of the goal, and Sousa made a cross by his right foot from just outside of the penalty area. Nakazawa reacted to this cross but failed to make a good clearance, then Kakitani made a shot from the loose ball. Though the ball hit Iikura, it was sucked into the goal. Cerezo wanted to keep their momentum and turn the game around, but there wasn't a come from behind goal. However, the strenuous efforts by Fukumitsu, and the substitute Sousa's active play acquired one winning point by "the team worked all together as one" (Kakitani), and it leads to the next. "We must think positive about that we weren't defeated. We'll have series of matches continuously for a while, so we should work together as the one." 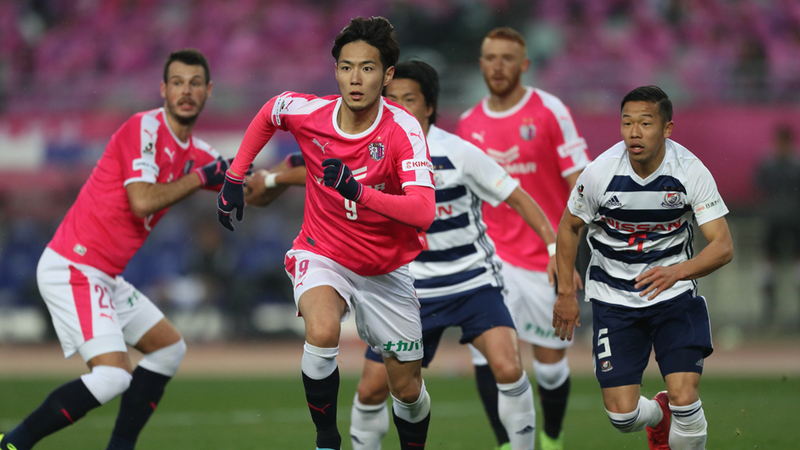 (Fukumitsu), Cerezo will have the 2nd round after 4 days break, at home again, against Consadole Sapporo at Kincho Stadium, and they are ready to grab the 1st victory of the league match in this season.